I’ve been a little slow to update on my bread making skills project , however over the past few weeks I’ve been working on my bread making skills & techniques. 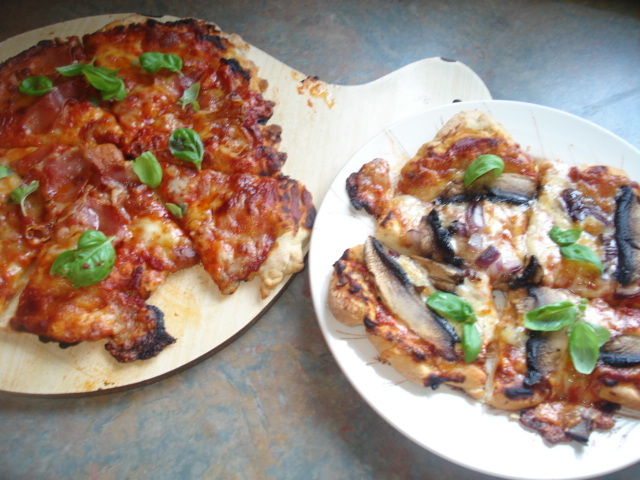 I decided to make some yeast dough & use it in probably the quickest method of cooking possible, making a tasty pizza. 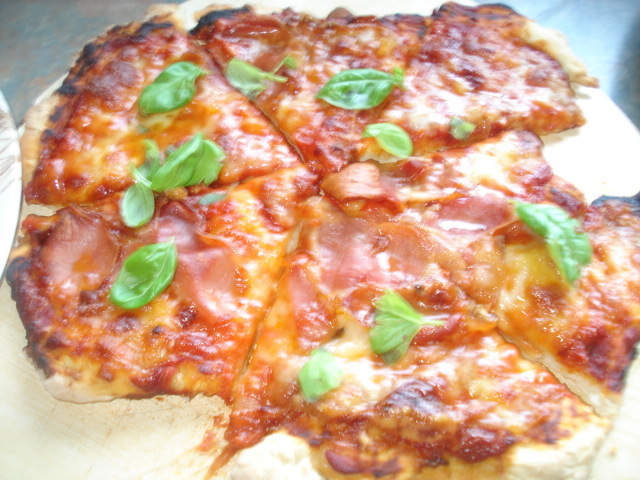 Pizza is such an easy super to make, and of any toppings that you have in your fridge can be used as a topping, eggs, bacon, cheese, ham, tomatoes, mushrooms. I used Catherine Fulvio pizza recipe for the base of my pizza, then made a simple tomato sauce.